After school starts, parents always look for ways to reduce stress in the mornings before school or relieve anxiety the night before school projects are due. 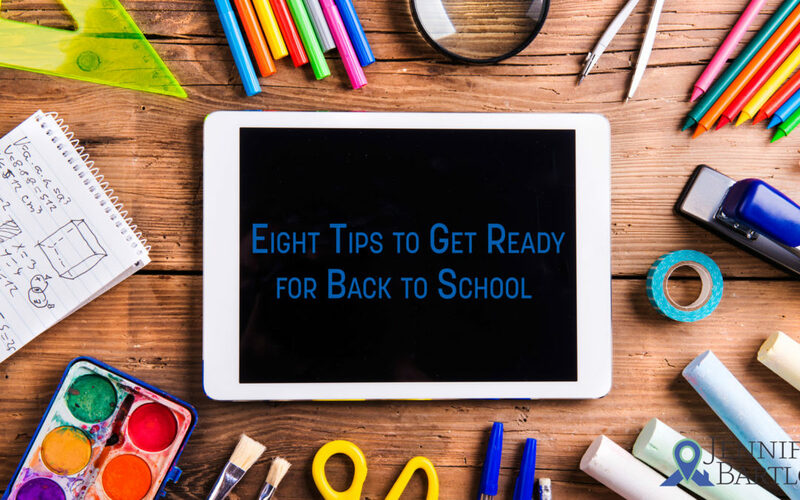 These are 8 brilliant tips to help you save time when the kiddos are headed back to school after summer or holiday breaks. Prep the standard snacks like pretzels, dried fruit and non-perishables for the week in zip-close bags. Start the morning routine a few days before school starts. This way, you and your kids can practice getting up early, getting dressed and have less stressful mornings! Whether your school requires uniforms or not, pull together each day’s outfit from head-to-toe on Sunday so you avoid the running around “can’t find anything to wear” chaos. Of course, you’ll expect some children to change their minds! so have an alternate outfit ready. Keep extra sets of school supplies ready — buy them when they’re on sale. Make sure everyone is aware of the daily and weekly schedules. The best surprise is no surprise! Get paperwork and emails organized in physical and virtual folders. Be sure teachers’, PTO, and school admin contacts are in your phone — labeled with the school so you can spot it easier. Set a time on Sunday afternoons to go over homework and project assignments that are due the next week so you’re not staying up late, gluing together an historic monument and costume the night before! Hope these tips make your school mornings and nights a little less hectic!